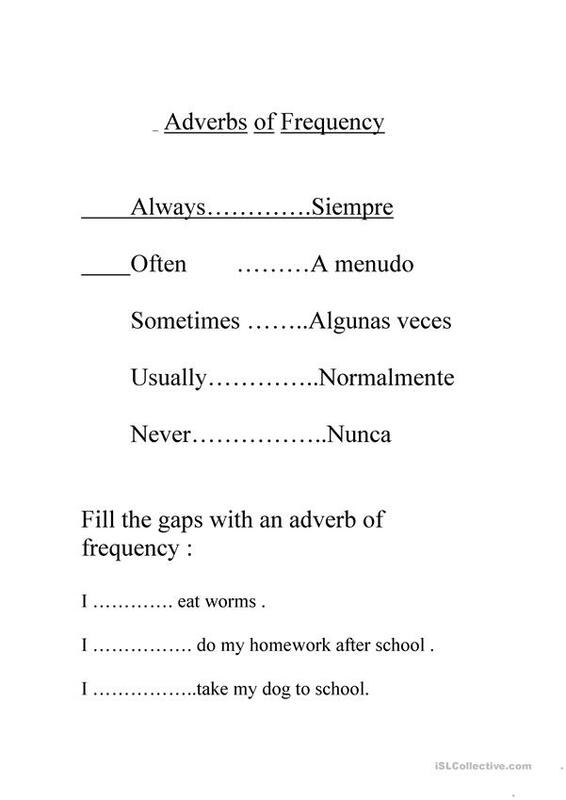 A Basic introduction to adverbs of frequency for Spanish students with some simple gap fillers . This downloadable handout is meant for elementary school students at Elementary (A1) level. 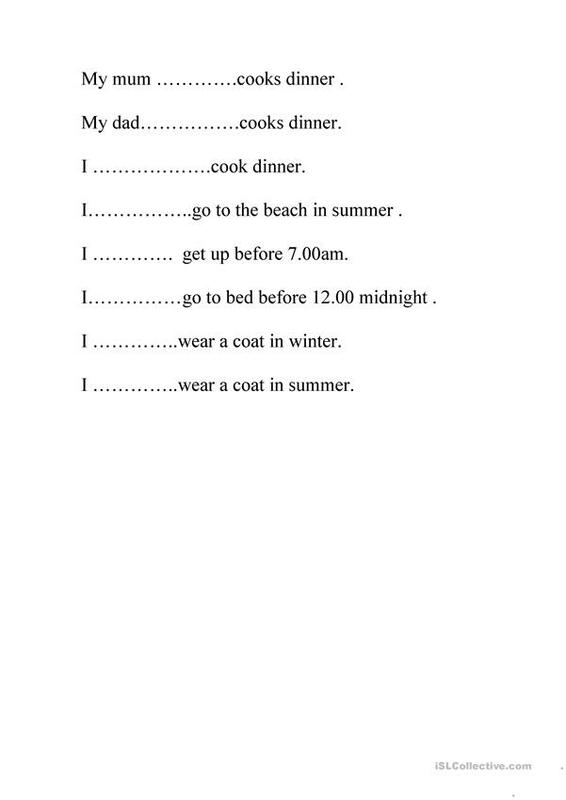 It is aimed at teaching Present simple tense in English, and is useful for improving your groups' Reading and Writing skills. juliemac is from/lives in Spain and has been a member of iSLCollective since 2012-12-16 18:26:00. juliemac last logged in on 2017-06-22 22:22:15, and has shared 1 resources on iSLCollective so far.